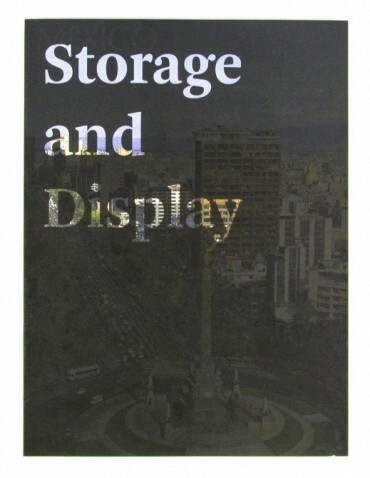 Document of the group exhibition 'Storage and Display' in Programa Art Center, Mexico City, 2003. With: Danai Anesiadou, Hans Bryssinck & Diederik Peeters, Rodrigo Diaz, Jared Domicio, Nicolas Floc'h, Michel Francois, Kees Goudzwaard, Franciska Lambrechts & Honore d'O, Erwan Maheo, Mark Manders, Hermann Maier Neustadt, Damian Ortega, Batia Suter, Sofia Taboas, Pieter Vermeersch and many others. Text by Dieter Roelstraete. Design: Roger Willems.